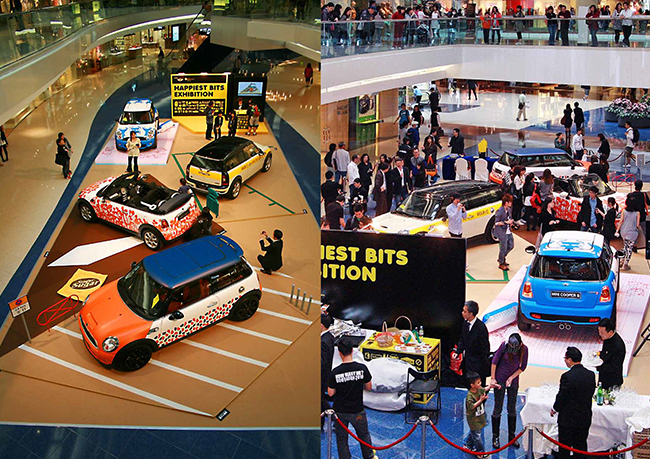 Over 20 local and global media had reported this 6 days event including daily newspaper, car and architecture magazine, radio channel, IDN design blog... 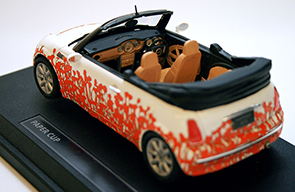 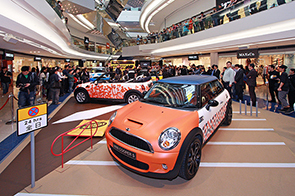 The exhibition was a great success with great impact to society and MINI. 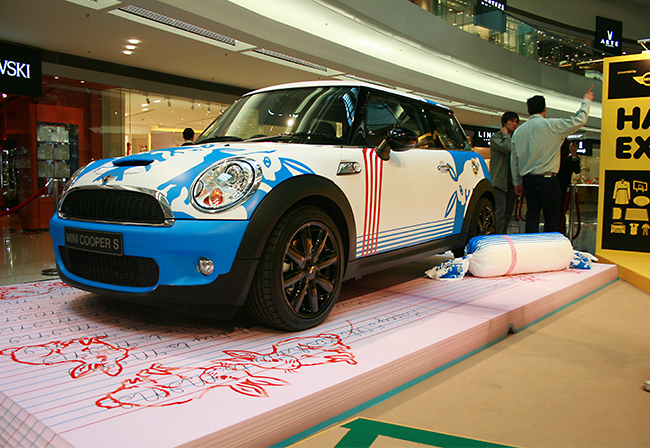 MINI was hosting the same format of an art exhibition in the coming two years with other themes. 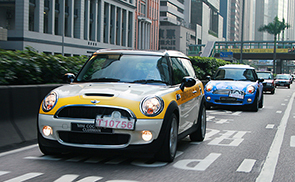 And our team had received great appreciation from the APAC MINI Manager. 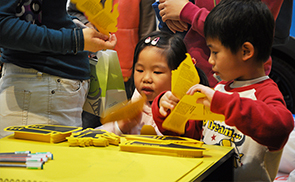 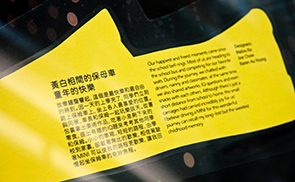 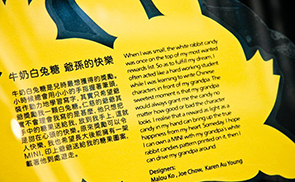 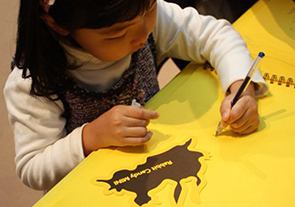 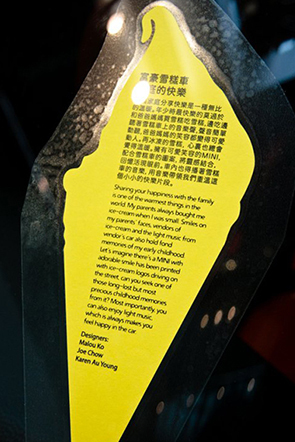 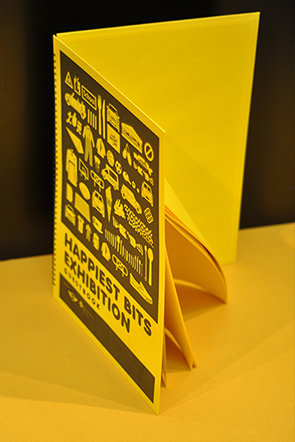 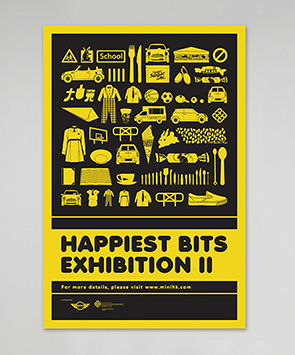 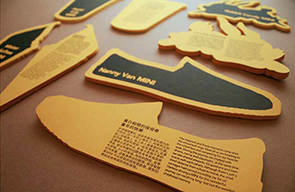 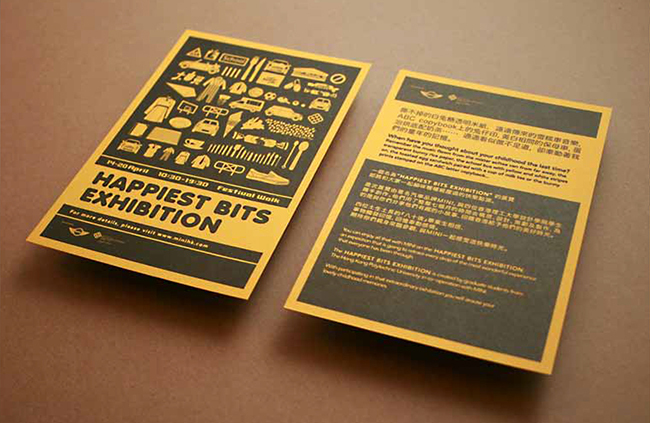 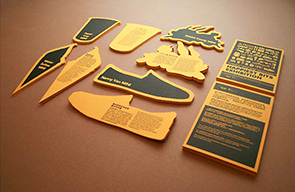 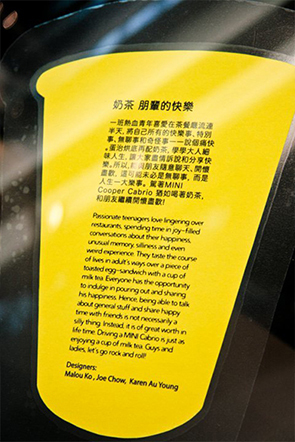 The HAPPIEST BITS EXHIBITION is created by graduate students from The Hong Kong Polytechnic University in co-operation with MINI in 2010. 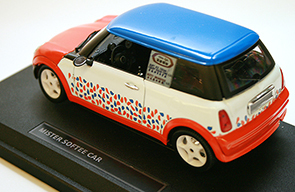 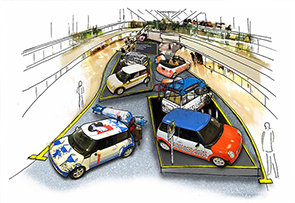 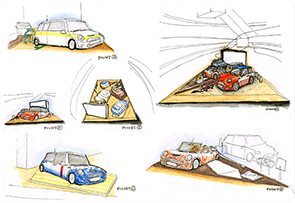 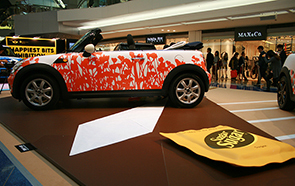 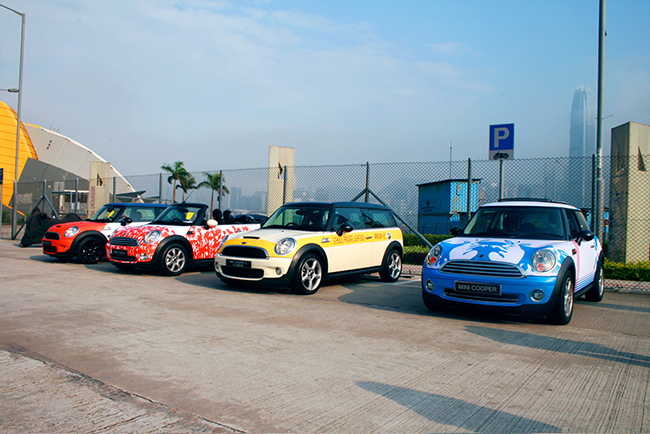 The project is to create a wow effect in Hong Kong for MINI 50th anniversary. 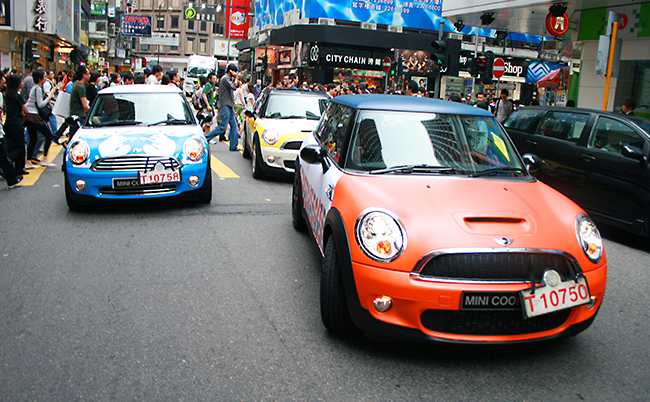 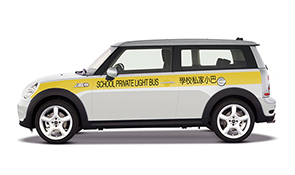 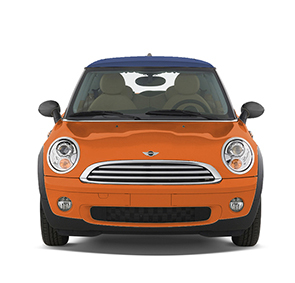 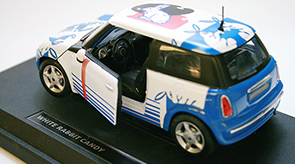 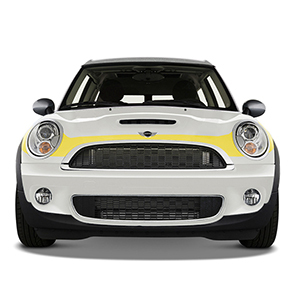 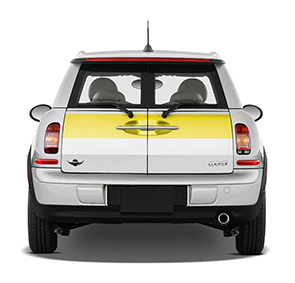 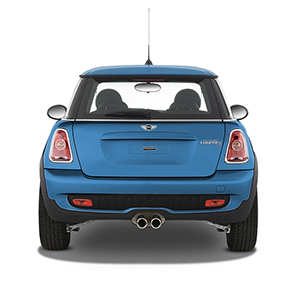 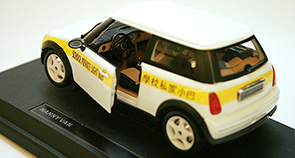 Our team put together the enjoyment and fun by driving a MINI and the happy moments of the majority of Hong Kong people throughout these 50 years. 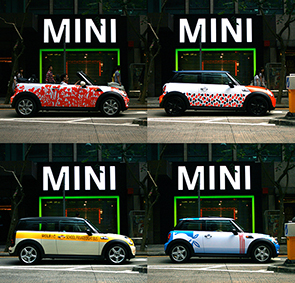 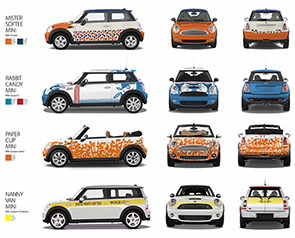 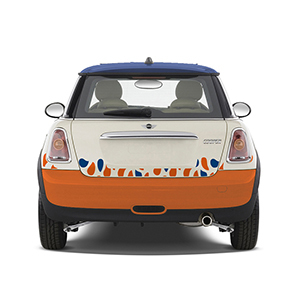 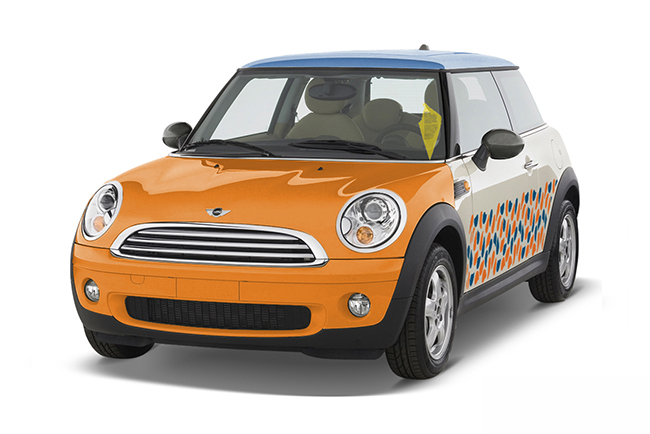 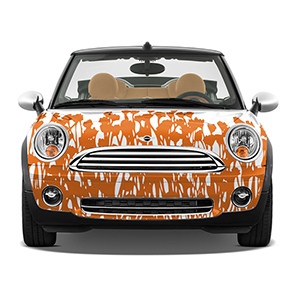 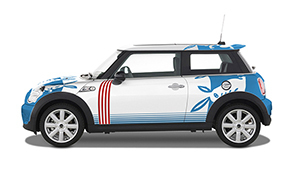 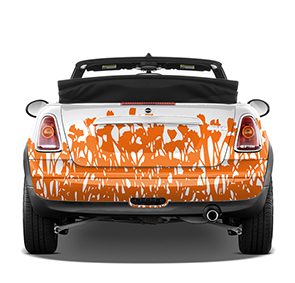 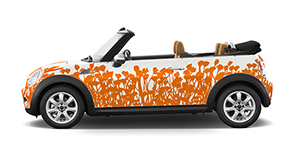 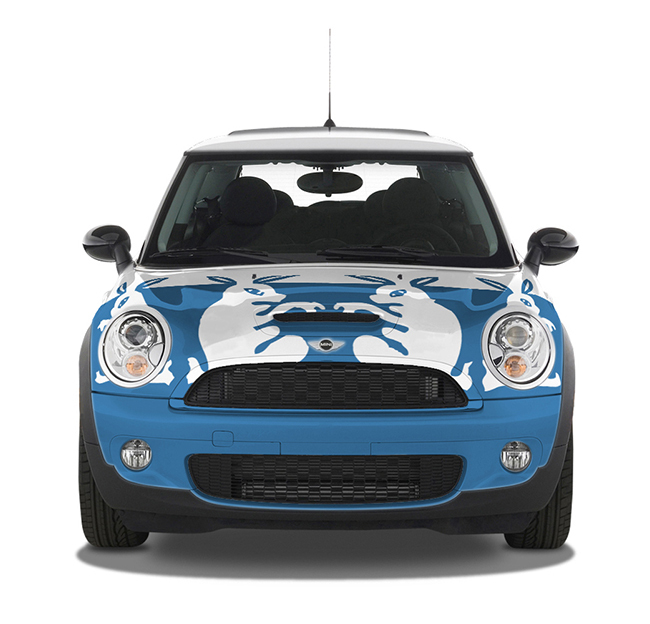 We highjacked four classic patterns onto four MINIs that hope to bring out the joy, fun, sweet and happy from different period of our childhood. 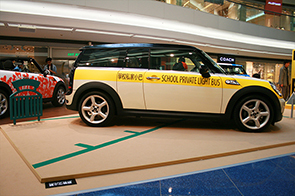 The exhibition floor plan was designed into different scenes and small props are made and being placed beside each MINI to enhance the mood. 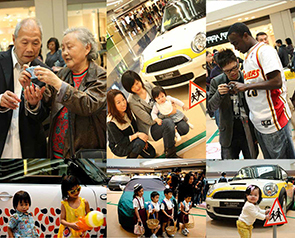 We hope to create a photo taking area so as to bring together all groups of people, enjoy and recall their lovely childhood memories. 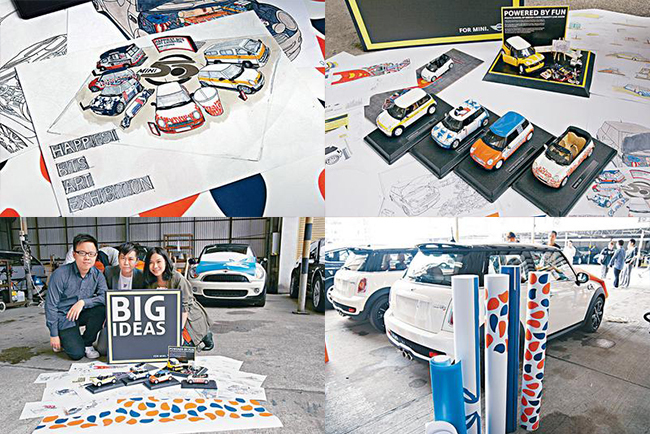 We used half year to research on MINI lovers behaviours, idea development and execution. 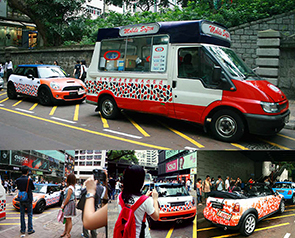 We got invited by PolyU to showcase it one more time in the school campus after the exhibition and MINI also hold a parade to drive around Hong Kong on an afternoon in a weekend as a round-up celebration of this project. 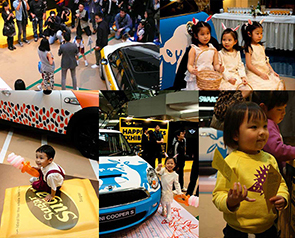 When have you thought about your childhood the last time? 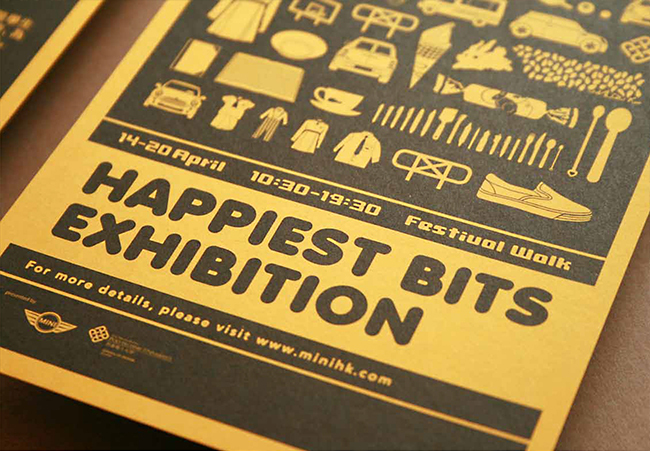 You can enjoy all that with MINI on the HAPPIEST BITS EXHIBITION, an exposition that is going to retrace every drop of the most wonderful experience that everyone has been through. 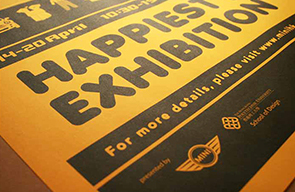 With participating in that extraordinary exhibition you will arouse your lovely childhood memories.